this paper party started, and that is something to celebrate. 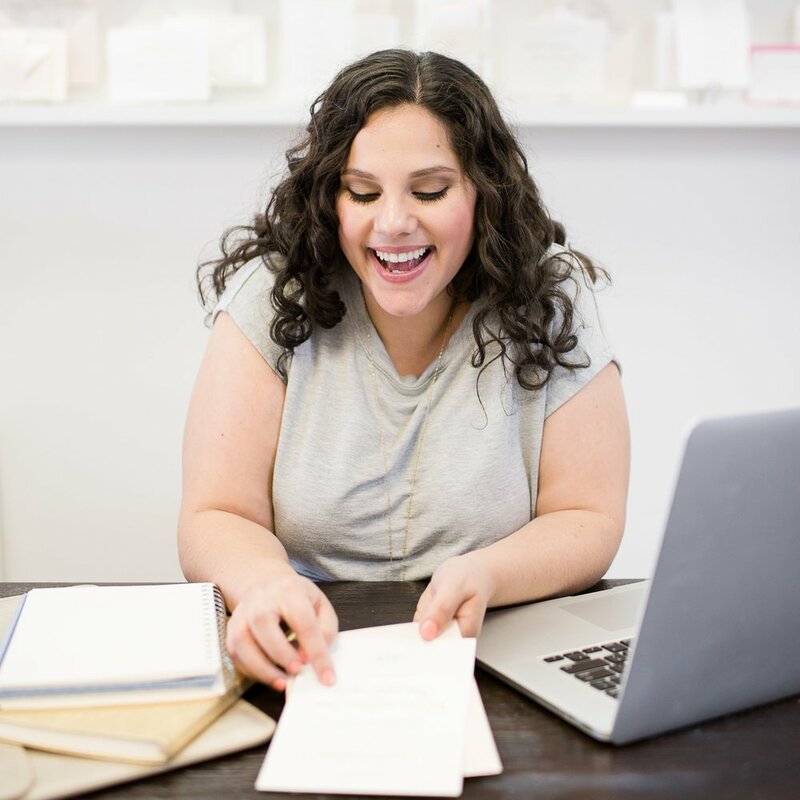 To kick off your invitation experience, I'll need a few details from you, and then I'd especially love to chat with you one-on-on for a consultation. Fill out this form to send your happy details straight to my inbox, and to then receive a link to schedule your consultation. The more information you provide, the better I will be able to help you. I look forward to hearing from you! Perfect collaborations are the wind in my sails. I'm able to participate in a handful of shoots per year. Please inquire for availability. If you are a fellow stationer or designer looking to inquire about my vendors, please know I do not share that proprietary information. However, I do share my process for finding vendors in my blog series titled "Paper Cuts". *email is the best way to get in touch, always. If this is professional/vendor inquiry, please provide the name of your company. Please share which design you are interested in, and any other details swirling around in your mind. Thank you! I cannot wait to chat pretty paper with you! *Please do not send packages to the studio. Contact me for package delivery address. Not as good as snail mail, but pretty darn close. Sign up with your email to receive news, updates, promos, and stationery tips direct to your inbox. I respect your privacy, and I do not like spam, either.